Every survey is unique, and the boundary and improvement survey conducted for Houston Northwest Baptist Church was no exception. 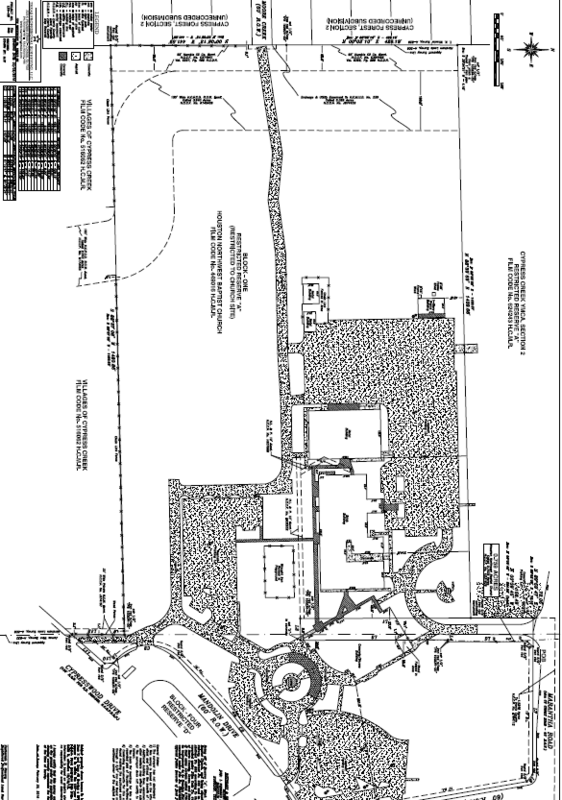 Encompassing a large job site with extensive improvements and easements, the land had an abandoned right of way, with a portion of the right of way going through the church structure vs. the subdivision plat, and missing monumentation. Extensive research and discovery, comprehensive field work and our accurate, competent field crew spearheaded detailed drafting. We determined the true chain of title, located the deed for the portion of the right of way from Harris County and meticulously followed all procedures under Texas law to replace missing monumentation.